By now everyone has returned home from the Feast of Tabernacles with spiritual lessons learned and more miles on these physical bodies. As difficult as it was for many getting to the Feast this year, just about everyone has recuperated. As predicted the days have become shorter and cooler as Daylight Saving Time has come to an end and we are about ready to head into a hard winter. Some people say, “everything remains the same as before,” but that is not true. A new president has been elected for these United States of America, and we must ask ourselves what that means for the Children of God. While some men are teaching the brethren to relax and just wait for Jesus Christ to fulfill all things, we realize that it is time for us to get into high gear. 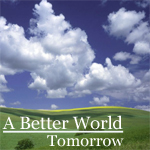 Will we be ready and able to perform our spiritual and civic duties in the world tomorrow? Now is the time, not only to become prepared to fulfill our roles as teachers in the world tomorrow, but to learn to be kings and priests with Jesus Christ. Some men are teaching that after the resurrection, all the saints will be enrolled in a new spiritual school where they will begin learn to be tomorrow’s spiritual leaders. Brethren, make no mistake about it: Now is the time to learn and prepare to reign and rule with Jesus Christ. The Church of God in not prepared, but God tells us that we are being judged now. As we saw at the Feast this year, we will have learned before the beginning of the millennium to implement the fruits of God’s Holy Spirit. Virtues and characteristics like compassion, patience, understanding and mercy will have become second nature to us by then. Jesus did not beat humble and compliant people into submission with His rod of iron (Revelation 12:5) – and neither will we. We will be examples of Christianity and Godliness in a brave new world being rejuvenated. In fact, as we saw on the Last Great Day, we are to be a part of the gathering now – not waiting on Jesus to do it all Himself. We are to be examples of Christianity and Godliness to all men at this present time so that God will be able to gather a few in this last hour into the body of Christ. Brethren, we too, must be about our Father’s business. Live Sabbath services are scheduled to return at the regular time next Sabbath, November 26th.